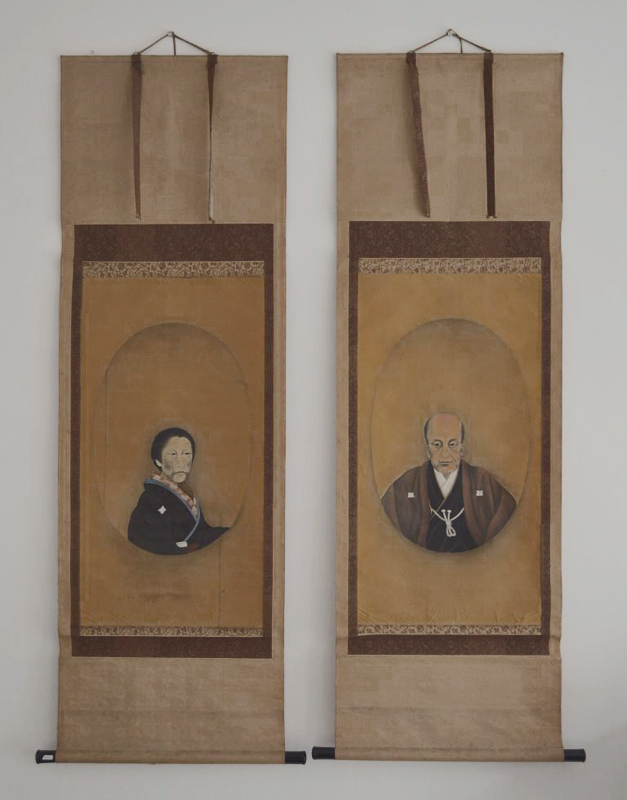 THE FIRST – Japanese hanging scrolls of marital portrait (Dealer: titcoRet) – A pair of marital portrait paintings of the first generation of a certain prestigious family. Painting on silk. Meiji period (1868-1912). Curiously, somehow expressive or somehow unexpressive…, quite curiously beautiful. The condition is as is with aged deterioration as seen.